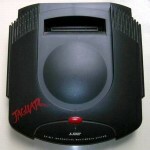 This little beast is the Atari Jaguar, the final console ever released by Atari. It debuted in 1993 and was actually a very powerful machine, in fact, it was head over heels better than almost any other console on the market. The only problem is that the Atari Jaguar was dealt a series of really bad blows from the waters it was launched into. It was the brainchild of a company called “Flare” that boasted that they could make a machine vastly superior to any other console of the time. Atari funded them to create “Flare II” which was an Atari subsidiary, and worked out a massive production deal with IBM who had become the biggest PC creating company ever by the time this device came in to production.What the Atari was, at it’s core, was an IBM PC that had been rebuilt with a specialized chipset to run video games created in a private code language developed by Flare II and that was designed to be plugged in to a TV using RCA cables (as opposed to a monitor using VGA cables). In fact, if you review the hardware at the bottom of this document, you will see just how potent this thing was when it was created in 1993. Despite the enormous amount of CPU power it had for the comparable systems of the time, this is where it’s greatness ends. Beyond being powerful, it was one of the worst systems ever created. First of all, the hardware under the hood was a massive mistake. The memory controller was designed with security in mind and therefore, it was impossible for any video game code to run unless it was in the RAM, thusly the RAM controller was prone to overheating and or reaching a ‘lock up’ due to the high amount of code requests being sent to the RAM. Furthermore, the UART control, which is a fancy word for the translater that would send the video game’s code requests into and out of the RAM could only handle a small amount of code at a time. The result is that anything Flare II programmed, would have to litterally be sent in small chunks from the game system into the RAM, processed, then sent back out. I know this sounds quite technical but the basic issue is that no game could be programmed in a clean and easy way on the Jaguar because the RAM would freak out and so keeping code for games functional was viritually impossible. The end result? 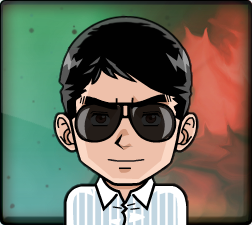 Only people who were on the Flare II team could create games (no outside companies would touch such a complicated code issue) and so the actual titles available were a few 5-10 games completely created by Atari Flare II. The other issues? Well… look at this control…. seriously… look at it! It does not require much explanation as to why the average gamer in the console wars found this controller to be more of a weapon for thrashing their annoying younger sibling than playing a video game. The video game controller features a rather standard design on the top portion, a D-pad, start and select, and three game buttons (C, B, A) but what the hell are the other buttons for? That’s seriously a 10-button Number pad with.. I am not kidding… an asterik (*) and a number sign (#) next to the 0. The average gamer wondered if they were supposed to play a video game with it or call their video game store. Atari was trying to make this controller expandable so that games could be as awesome as they wanted the system to be and on such games as Wolfenstein 3D (one of the few popular games on the system) this was successful. The buttons allowed you to rotate through inventory items quickly as you blew stuff up. But alas, 90% of the games created for it, DID NOT EVEN USE the bottom number pad. Could Atari have made it an ‘attachment’ perhaps? That might have helped but it’s no wonder that Craig Harris, an editor for IGN dubbed the controller ‘the worst video game controller ever made”. The fate of Atari was sealed, there were only 125,000 Jaguars sold and Atari still had over 100,000 in inventory. The entire Atari company was destroyed by a takeover from from JT Storage and the Jaguar was shelved for eternity. The only positive out of the Jaguar is that when Hasbro (JT Storage’s parent) released the Jaguar as an open-source platform in the late 1990’s, several developers began creating homebrew games that allow the folks who still use them some enjoyment out of their $250 brick. Alas, Jaguar, you could have been grander!